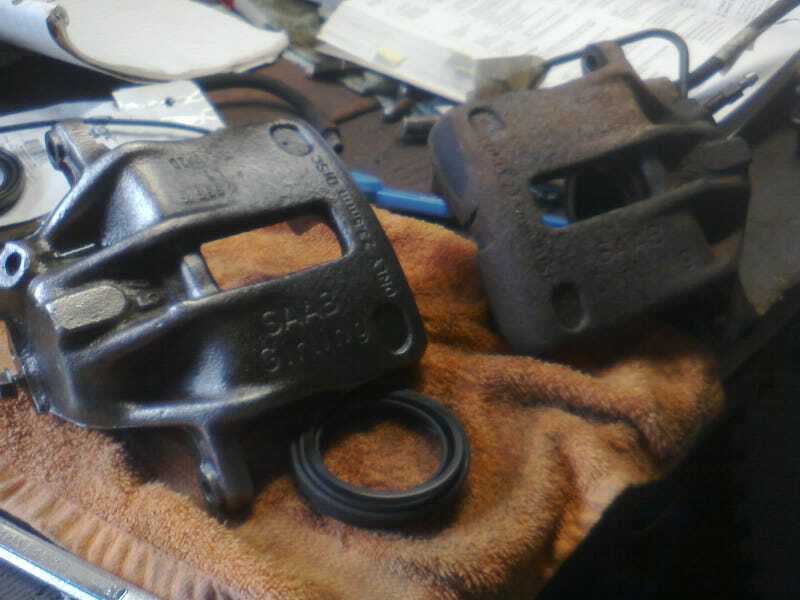 Despite a busy weekend, my brother found time to start cleaning up the front calipers for rebuilding. I think they’re gonna turn out nicely. Made a little progress towards removing the starter motor, too. It looked like it was going to be easy-access, but it turns out the clutch cover had to be wrestled out of there. Hello clutch! Still haven’t had a chance to really test it out, but we do know that the clutch pedal does operate the pressure plate. Don’t want to jinx anything, but I must confess I’m kinda curious what it’s like to change a clutch that’s accessible from the top like this. At the very least, we’ll bleed that circuit as we finish bleeding the brakes.